Baby can push themselves up for tummy time! We’ll also do some laying on the back with a gorgeous flokati rug. 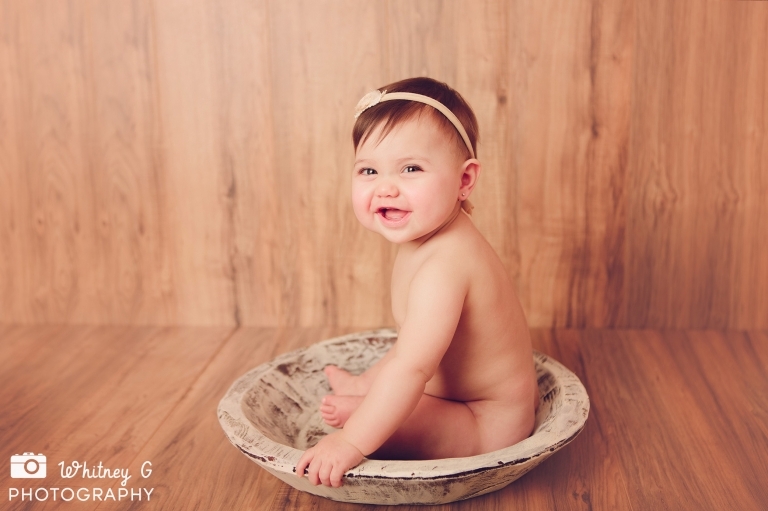 Baby is comfortable sitting up on their own, and will look so adorable sitting in a bowl! Baby might be walking by now, we’ll do some sitting, some standing, probably some dancing! © 2019 Boston Newborn Photographer – Whitney O'Brien Photography|ProPhoto Photography Website|Design by Northfolk & Co.